Though many email inboxes no longer have 1GB limitations, or similarly small file size limits, there are still plenty of reasons to want to avoid working with large files via email. Upload times, download times, and having to share the same file with multiple people can all add up to some serious time spent messing around with file sharing. If this is something that makes you cringe, you’ll be happy to know that there are file sharing and storage solutions out there that can make the once onerous task of dealing with large files (or any size file) that much easier! There are a variety of different tools available for both business and personal use that can turn file sharing and storage into something simple and secure. Yousendit – Yousendit offers up to 2GB of free storage and also offers different paid account types with various features. Box – Box offers up to 5GB of free storage and a few additional account options (paid of course) each with more features than the last. Dropbox – Dropbox is an excellent storage solution offering up to 5GB free storage to start with ways to earn more free storage such as sharing Dropbox with a friend. Paid accounts are also available, and files can be accessed from mobile devices, laptops, and desktops. Anything that supports the program or app! LiveDrive – LiveDrive is an online cloud storage and backup solution that does not offer any free account types but does offer 14 day free trials for each of their 4 account types. Google Drive – Google Drive is Google’s online storage solution which allows for up to 15GB of storage for each Google account you have (i.e. Gmail). It can be accessed from any browser or from any platform which supports the Google Drive app. 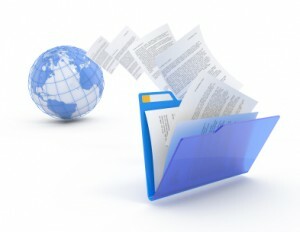 Being able to save and share any size file can be extremely useful for a business. Imagine being able to upload a file to a single location, enable your team to access it, and once they have completed their tasks to upload the file again where you (and perhaps even your clients) can see the finished results. And all with just a single action on your part. Gone are the days of endless emails and juggling different versions of the same file across multiple messages from various team members! Now instead you can work easily with different files and different people from all around the world without worrying about losing your files or overloading someones email inbox. Does your business use any of these services? If not, would you consider using them in the future?